· External accountant (you can grant us access to all areas of the software except for those that contain sensitive customer data, like credit card numbers). · Sensitive Financial Reporting, which allows access to all QuickBooks reports. 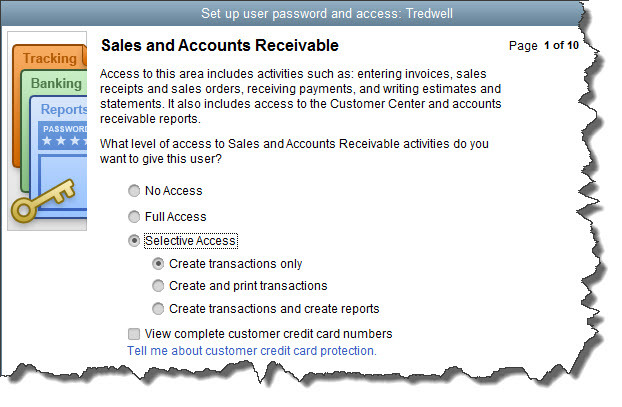 The option you choose here overrides all other reporting restrictions that you’ve specified for the employee.